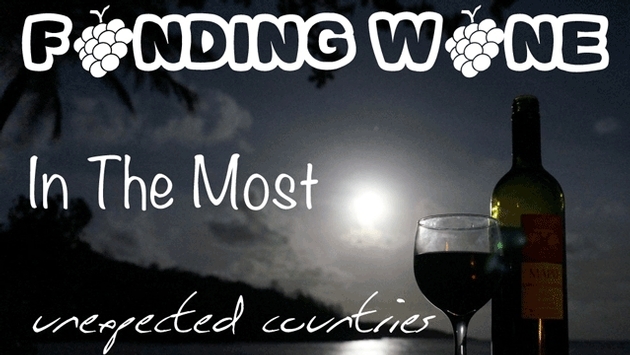 We all know the regions that produce world-famous grapes, but wine is brewed all over the globe and it can often be found in the most unexpected destinations. Just because a country’s wine reputation hasn’t made it to the global spotlight, doesn’t necessarily mean that the wine is substandard. Many of these places have rich soil and cool highlands which are perfect for viticulture. Today the world consumes over 25,000,000 litres of wine annually and the famous beverage can be found on every continent except Antarctica. These are some of the places you never thought you’d find your favourite blend. Amongst the oldest known sites of wine production in the world, Lebanon has been producing the grape beverage for over 5000 years. This is where Jesus turned water into wine and it is said that the Israelite prophet Hosea urged his followers to return home so that "they will blossom as the vine, [and] their fragrance will be like the wine of Lebanon". The country has historically favored French grapes such as Cabernet Sauvignon, Merlot, Cinsaut and Grenache. But Lebanon has a rich heritage of indigenous varieties like Musar White, Clos Blank and Muscat. PHOTO: Entrance To The Underground Cellars Of Château Ksara. If you’re planning a wine tour to Lebanon, don’t miss Château Ksara. Possibly the country’s most stunning vineyard, Ksara sees over 40,000 visitors each year... which might make you wonder how you didn’t know more about Lebanese wines before. Founded in 1857 by Jesuit Priests, the vineyard has miles of underground grottos which are used as cellars. Go to Ksara for a wine tasting tour and get lost in the maze of caves where the walls are plastered with aging bottles of vino! It may come as a surprise that one of the most historically oppressive and globally isolated dictatorships has joined the worldwide family of wine-producing nations. As the country opens its doors to tourism, it tantalizes their tastebuds and shocks their preconceptions with delicious bottles of Sauvignon Blanc and Pinot Noir. PHOTO: The View From Red Mountain Estate in Myanmar. 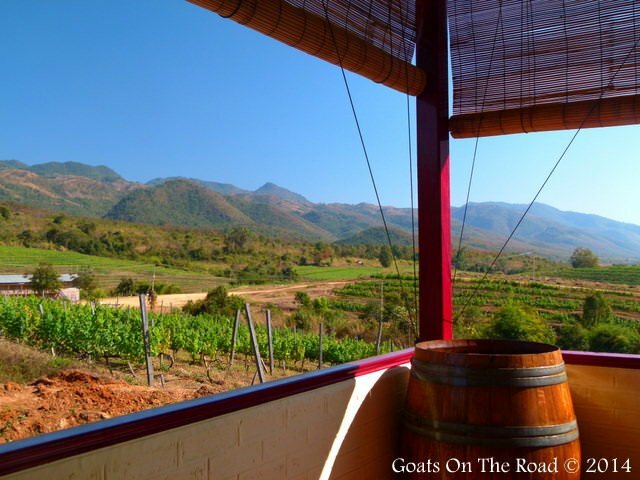 The most stunning vineyard in the country lies close to the shores of Inle Lake. Perched atop a gently sloping hillside, the Red Mountain Estate produces upwards of 120,000 bottles each year. Visitors can enter the vineyard by car, bicycle or on foot and enjoy wine tastings while gazing out at the unique fishing practices of the Intha People on the famous lake. For many, the sight of a Burmese vineyard comes as a shock, but once they’ve sat inside the beautiful restaurant and sampled the succulent wines, they’re convinced... Myanmar knows how to make great wines. Thought to be the place where the world's wine production originated over 8,000 years ago, Georgia was producing wine 5,000 years before the invention of the glass we use to bottle it today. When production started here, winemakers used beeswax-lined, earthenware vessels known as Kveris to store their precious vintages. Today, Georgia has some of the world's best wineries. 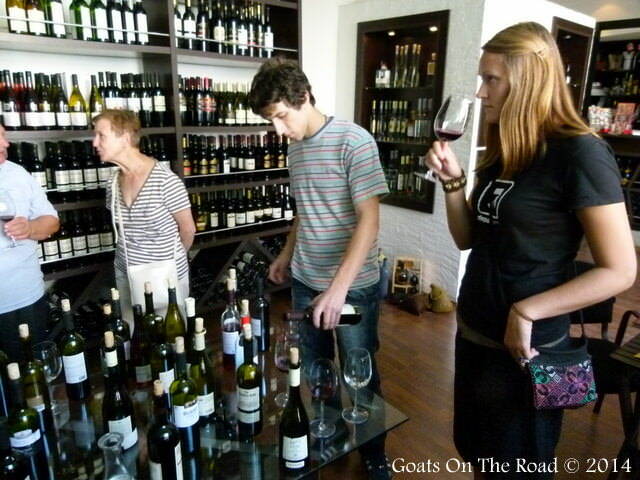 PHOTO: Wine Tasting In The Capital of Tbilisi. Viticulture is deeply ingrained in the Georgian culture and, while it’s one of the most prized and heavily consumed wines in the former Soviet Union, it has yet to make a major mark on the current global market. If you plan a trip to Georgia today, you can expect to indulge in the country’s creamy tannins and complex fruity blends no matter where you are. There are hundreds of places to sample wines in the capital city of Tbilisi alone, but venture to one of the countryside vineyards for a real sip of history. Wine has become a major part of many cultures around the world. It is intertwined in our history and ingrained in our religions. According to the Food & Agriculture Organization (FAO), over 26 million tonnes of the stuff is cultivated each year and 85% of that total is harvested in the top 10 producing nations. We’ve been producing wines longer than history has been recorded and although many of us have our favourite blends, we rarely stray from the most common wine producing countries. This is a huge mistake because ever-expanding viticulture and emerging winemakers are constantly proving that you can find the perfect blends in the most unexpected places.